iProspect India, the digital performance agency from Dentsu Aegis Network, has appointed Tushar Parab as AVP, Paid Media. He will be based in the agency’s Mumbai office. With over 11 years of experience in digital marketing, Parab’s forte is paid media marketing, performance media and marketing automation. He has worked with companies like RK Swamy BBDO, Hungama Digital and Communicate 2. His last stint was with Coverfox Insurance, where he was responsible for paid performance marketing and strategic alliance for general/life insurance and investment product portfolio. 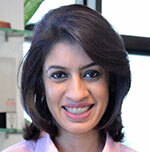 Rubeena Singh, CEO, iProspect India, said, “It’s great to have someone of Tushar’s experience back on board. This is his second stint here. His diverse experience will help iProspect extend its holistic solutions to its clientele as we drive their performance upwards."